In March 2019, I am travelling to Uganda, East Africa as part of The Human Kind Project leadership immersion trip. As a team, we are raising $200,000 before we go in March! My passion for travel and photography has taken me across this beautiful planet in search of awe inspiring landscapes and experiences. 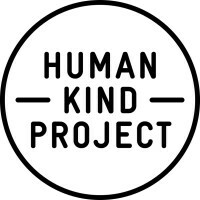 I have been supporting The Human Kind Project for a few years now and have decided to get more involved by committing to raising money and participating in this trip to Uganda to experience the amazing work The Human Kind Project do on the ground.